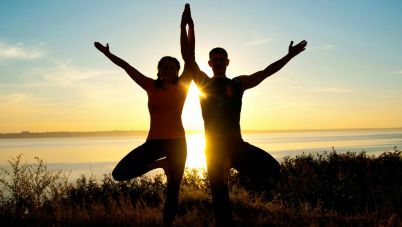 Join our AY team: "Absolute Sunshine"
Did you know that AY offers one on one private yoga lessons? Maybe a group setting is intimidating as a beginner, maybe you just want to get an idea of what to expect? Or perhaps you are a more experienced yogi looking to deepen your practice? Email or call us for more details including pricing options and schedule availability. Please use the form below to register for our newsletter. 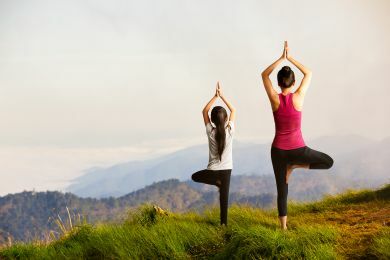 Absolute Yoga is known for our warm & welcoming community. Thank you for browsing our page! Always feel welcome to call or email with any questions. We love to hear from you! 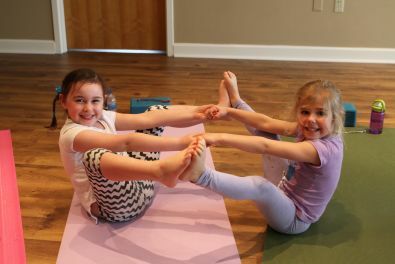 Absolute Yoga offers twice monthly PJ Kids yoga classes. Watch our schedule for special kid and family events. 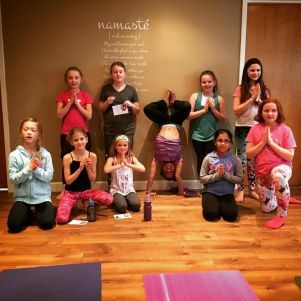 Contact us for information about kids yoga parties. 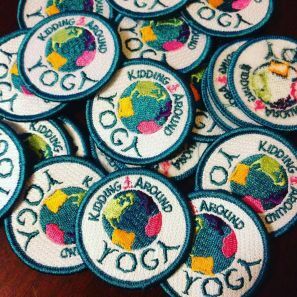 AY also offers special children's Kidding Around Yoga classes for Girl Scouts which includes a yoga patch! "I love this studio, the environment, the teachers, the students - it is a marvelous place to learn and develop a strong practice. I started yoga at this studio 10 years ago and am lucky to have discovered a place where I can find the peace and grounding I need in my life. Don't delay in finding your peace. 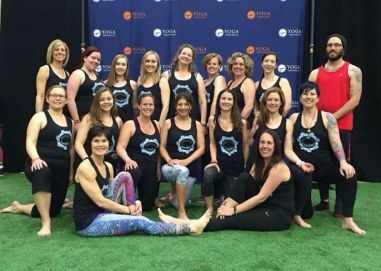 Namaste" ~ Sharon L.
My First Time at Absolute Yoga this evening ... only my second time doing Yoga and I absolutely loved it!!! If your a newbie like myself this is a great place to start. The instructor was great and very helpful.The atmosphere at Absolute Yoga is very calming and relaxing!!! Will definitely be going back ... SOON!!! Highly recommend this place!!! ~ Linda L.
I love it at AY. The energy is great, the decor is soothing, and the staff and students make a community. I'm a yoga instructor and periodically sub at AY. I travel to a lot of studios and AY is one of my favorite spaces to practice. The staff are attentive yet calming. Each instructor is different but I always leave with exactly what I was looking for. ~ Kim L.
The studio is a safe environment for beginners and seasoned yogi's. It has a wonderful energy and allows everyone to come to the mat without judgment. I love this place!!!! Check out the workshops there is always amazing events going on. ~ Angelica P.
"Beautiful studio with great teachers. Awesome location. Fantastic all around studio where you can find peace and renewal." 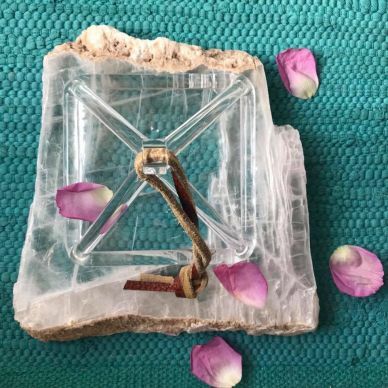 ~ Jamie C.
Shannon is amazing, my daughter absolutely loves her (kids) classes, can't say enough about her patience and creativity with the little ones and how beautiful and calming the studio is, love it all!! 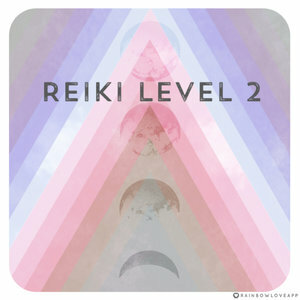 My daughter and I can not get enough........ :) ~ Nicole M.
"I've taken two sound healing workshops at Absolute Yoga. It is a beautiful, inviting space. I loved every minute of my experience. Also it's very easy to find, right off the highway and there's plenty of parking. Definitely check this place out!" ~ Traci D.
My daughters and I love attending classes at AY! The atmosphere and instructors are so welcoming and the classes always leave us smiling. ~ Anne C.